I crave salads in the summer. How about you? When that urge strikes, here’s a new salad for ya. 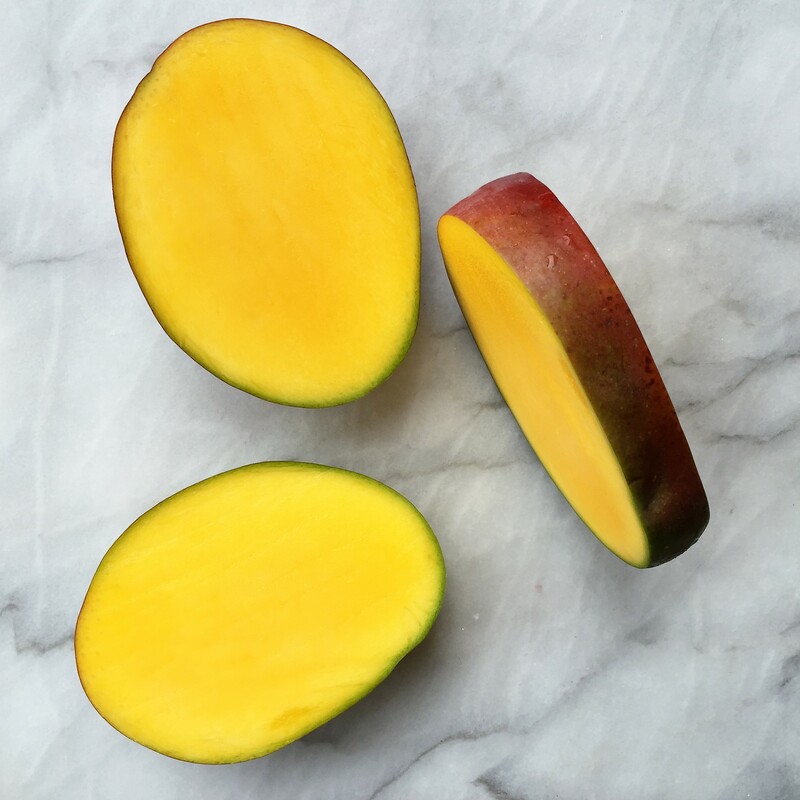 If you’re a mango lover like I am, it’ll literally make your mouth water! The Recipe Redux theme this month is “Get Your Fruits and Veggies in Shape.” Rather than cutting up this salad’s fruit into a new shape, I decided to add shape on it. 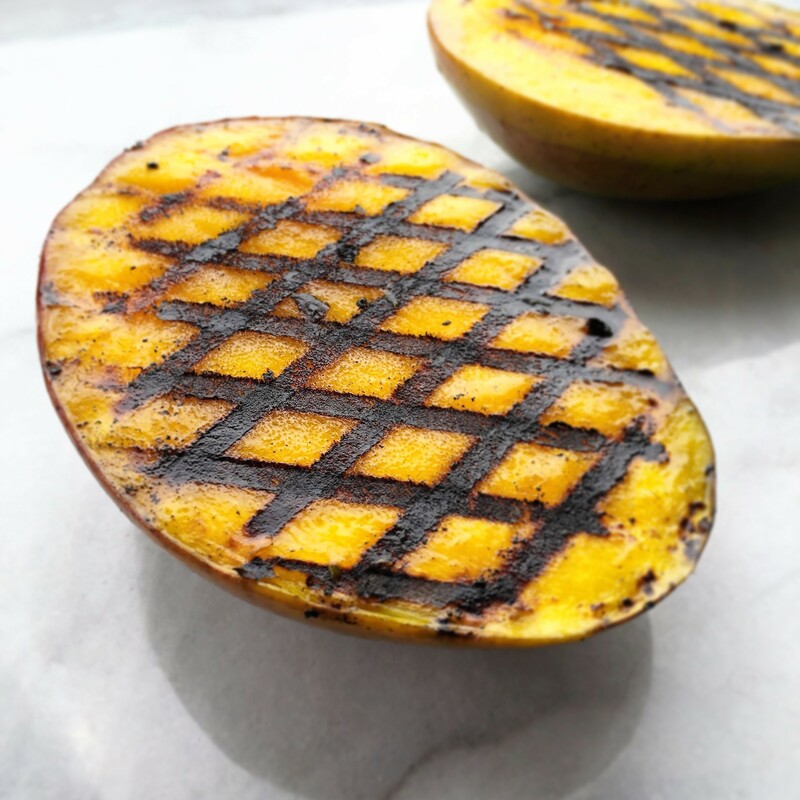 I created crosshatch grill marks on mango “cheeks.” Using grilled fruit is a simple way to upgrade a recipe! Not only does it add eye appeal, it adds smoky flavor interest. 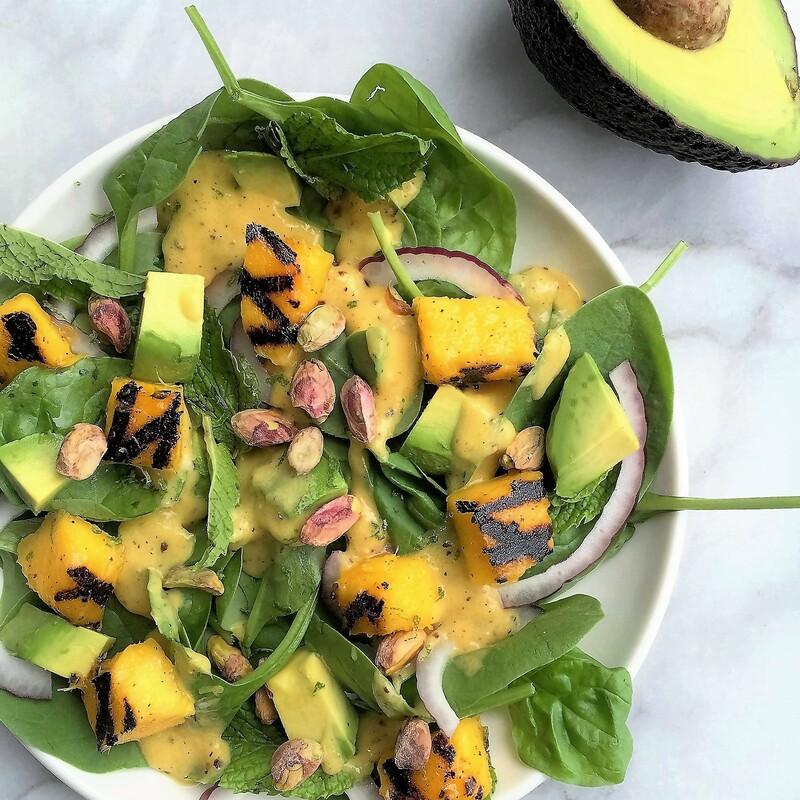 What’s more, I used grilled mango in two ways here—as cubes and pureed into the dressing. Hint: Add black beans, edamame, or grilled shrimp or organic chicken to transform this side salad into an entrée! 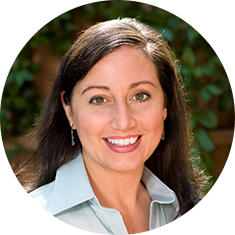 Why it’s better for you: Spinach and pistachios further boost this salad’s lutein and zeaxanthin, which are carotenoids that can play a key role in prevention of age-related macular degeneration. Preheat a grill or grill pan. Stand up the mango and cut a large slice off of each side of the mango, coming as close to the large flat center seed as possible. Brush the cut surfaces of the mango pieces (“cheeks”) with 1 teaspoon of the olive oil. Place cut side-down on the grates and grill over direct medium-high heat until charred and heated through, about 7 minutes, rotating once halfway through grilling. Let stand for 5 minutes. Score each “cheek” into cubes in the peel, not cutting through the peel. Then scoop the cubes out of each peel. Add 1/3 cup packed grilled mango cubes to a blender; reserve remaining cubes. Arrange the spinach, mint, onion, and avocado onto 2 salad plates or bowls. 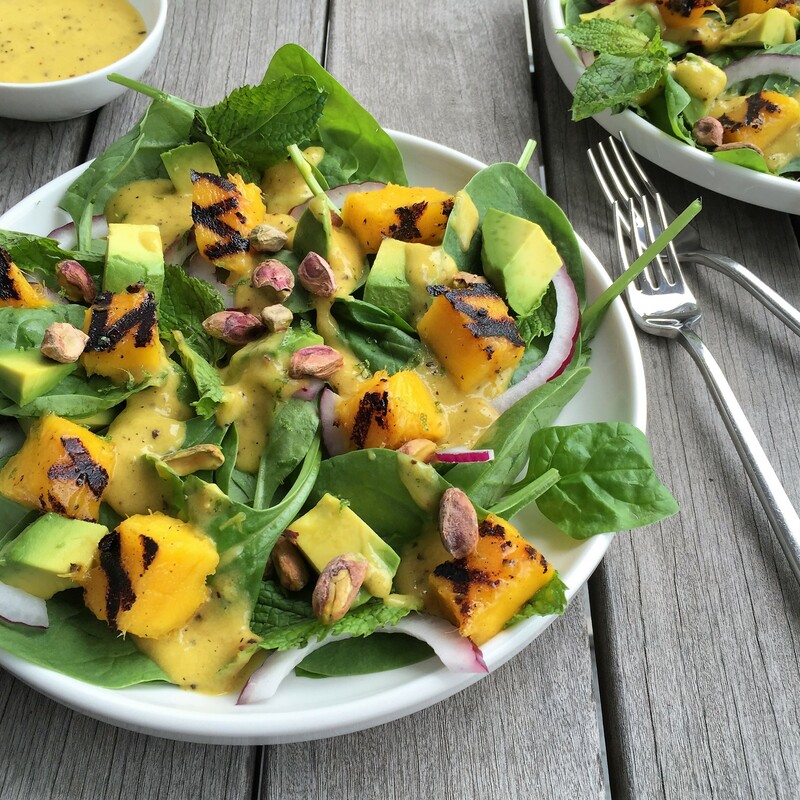 Spoon half of the grilled mango dressing onto the salads. Sprinkle with the reserved grilled mango cubes and pistachios. Serve with remaining dressing on the side. 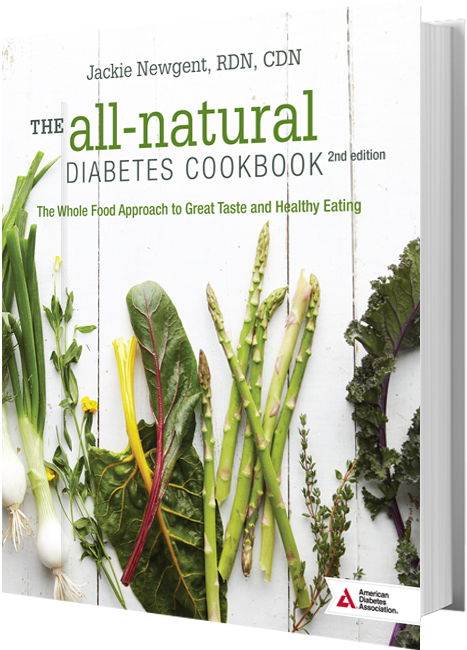 For more texture in a salad, finish with nuts. 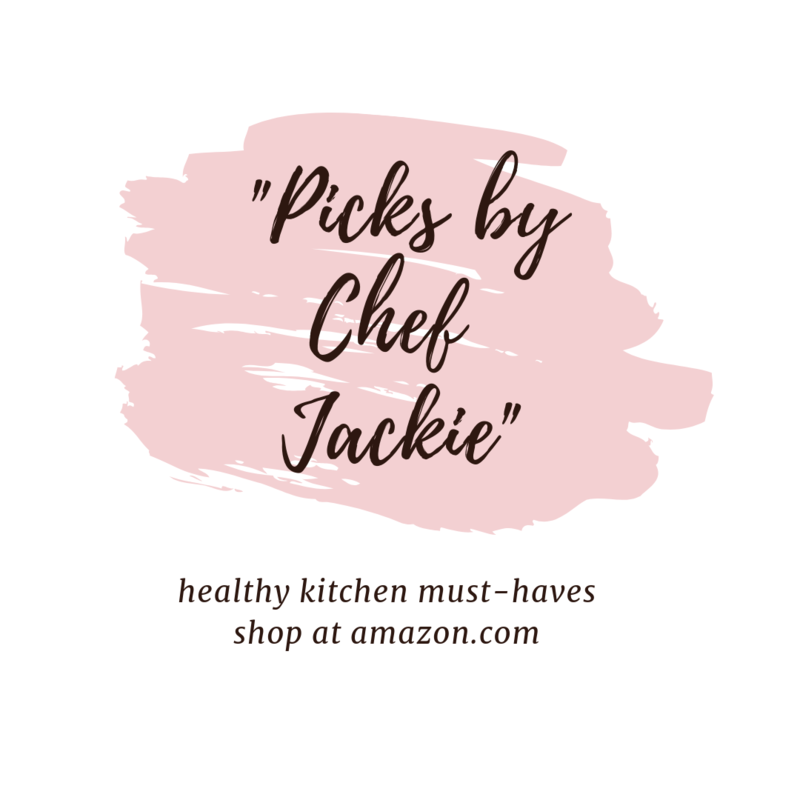 Try pistachios; they’re versatile in cuisine! For more fragrance in a salad, add fresh herbs, such as mint. 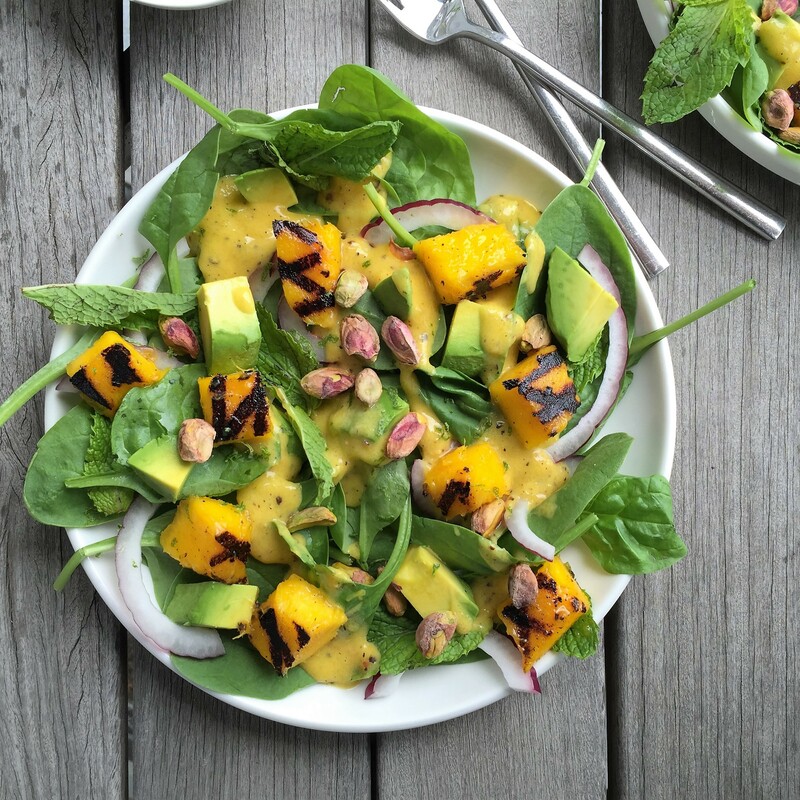 For more intrigue in a salad, grill a veggie or fruit you plan to include, like mango. Peel the mango portion containing the seed (on right) and enjoy like a messy popsicle!